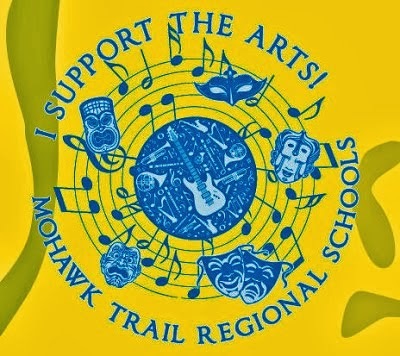 Here are some of the ways the Mohawk Music Association has been supporting the student musicians at Mohawk. Your support helps makes all of this possible! In addition, the MMA acted as a flow-through entity for the Local Cultural Councils in the towns of Ashfield, Buckland, Charlemont, Colrain, Hawley, Heath, Plainfield, and Rowe to give a total of $1,690.00 toward the Williamsburg trip. The MMA also acted as a flow-through entity for several student fundraising efforts. The funds went into the Tri-M student activities account to be used toward trips, shirts, and more. Finally, the MMA spent $1,511.95 on new uniforms & maintenance but is retaining ownership of them. The MMA also purchased uniforms but is retaining ownership of them. On Friday, October 18, Dr. Kathy Bullock gave an inspiring presentation to our high school students. She had everyone in the auditorium singing and dancing in a presentation that wove together musical performance with historical context as she recounted elements of African-American history and the evolution of musical forms and traditions. Dr. Bullock, her sister Dr. Dee (Diane White-Clayton), and her brother-in-law Joe Clayton met with students in Scott Halligan’s chorus course before the event, and the presentation began and ended with our high school chorus students performing on stage with our honored guests. It was a powerful experience for everyone involved. Dr. Bullock’s presentation to Mohawk students was made possible through the generous support of the Mohawk Music Association and MAEC (Mohawk Arts and Education Council). Wednesday March 7 – Vocal Workshop. Choral Composer legend Alice Parker will be conducting a vocal workshop for Gr. 7-12 students. Students will be performing Ms. Parker’s compositions as she guides them in technique and musicianship. Wednesday March 14 – Instrumental Workshop. Combined grades 7-12 Band students will participate in a workshop given by Wind Ensemble composer Bob Ellison. Students will be performing two contrasting works. 2013 - A total of $2000 was awarded by the MMA to five graduating seniors. 2013 - The new Francis Rollo Kinsman Music and Theater Scholarship was presented through the Mohawk Music Association by the Kinsman Family to honor and celebrate Rollo’s lifelong love and dedication to music. Mr. Kinsman and his daughter were in the audience for the presentation of this first $1000 scholarship to the student who exhibited the same love and passion for music. 2012 - A total of $2000 was awarded by the MMA to five graduating seniors. 2011 - A total of $1400 awarded by the MMA to four graduating seniors. 2010 - A total of $1600 awarded by the MMA to five graduating seniors. Ice cream is served after the Kid-In-Concert performance to all the elementary school performers. A well-deserved treat! 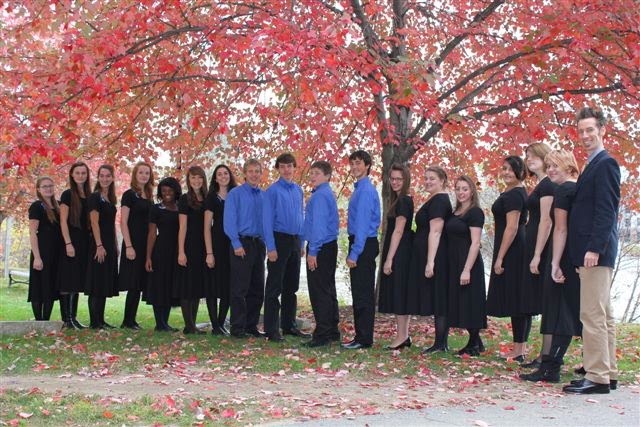 The Mohawk Select Chorus is looking good in their new uniforms prior to their performance in the Cantate! High School Choral Festival at Keene State College in October 2013.